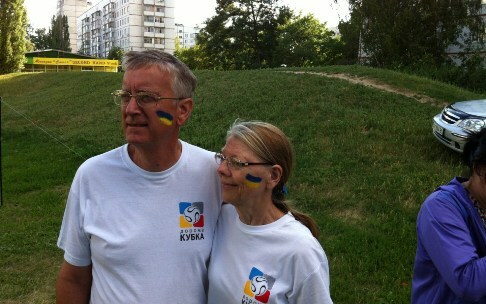 Nancy and I firmly believe God called us to Ukraine. We were very happy teaching in America, and quite frankly, had it fairly nice here when the Lord decided to move us to Ukraine. Let me tell you a little about it. I spoke with Doug Emr, BIMI missionary to Ukraine, in 1998 and met him in January of 1999. He had asked me to teach a course on Advanced Bibliology at the Ukraine Bible Institute, a school he started in 1997. This I did in January of 1999. I went to Ukraine in January of 1999 for two weeks. One of my mentors and sponsors, Dr. Ken Gillming Sr., told me I would never be the same. He was correct. I came home with a love for the Ukrainian people and a desire to help win them to saving faith in Jesus Christ. I had a desire to minister in Ukraine for souls and the glory of God. I even told my wife that we would move there some day. Every year after that I returned to Ukraine (twice in some years) to teach in the small Bible institute, preach in new church plants, and help in outdoor evangelistic efforts in and near the city of Bila Tserkva. When I would return, I would tell myself that while God used me in Ukraine, He needed me in the USA where, quite frankly, I had a fine ministry and a comfortable life style. I would tell myself, and sometimes my wife, that this was my last trip to Ukraine. From a human point of view, it made no sense to leave the comforts of the USA and move to where things were much different. For example, in 2002 our church sent the Bible college in Ukraine funds which enabled them to install indoor facilities, making the outhouse a secondary choice. We continued helping the Emrs in church planting and in building and improving the Bible training institute. We upgraded the curriculum, library, and facilities and we changed the name to International Baptist Bible College in 2001. In the spring of 2002 Nancy and I went to Ukraine to teach, and were actively involved with the Emrs in outdoor evangelism. Unfortunately, Doug Emr died that summer in 2002 while serving in Ukraine. He and Lois had been in our home and we in theirs. Half joking and half serious, he had encouraged us to move to Ukraine on several occasions, but I had a productive ministry here, and besides, I could go to Ukraine and help each year. In 2002, I even told Bruce Tuttle, a pastor from Pennsylvania who had also been going to Ukraine, that he and Natalie should go fulltime. I was surprised to find out that the Lord would call them to do just that. Nancy and I were content with the way things were, but I would often find myself thinking and praying about Ukraine. I asked the Lord to let things continue as they were, but He would not. I agonized over God's will with regard to Ukraine. Finally, I agreed that I would consider a full-time ministry in Ukraine if the Lord would make it clear it was His will. 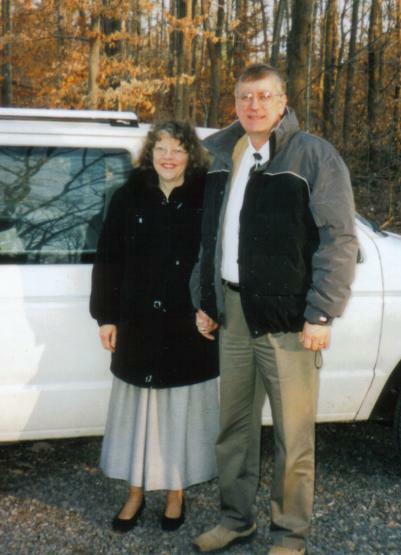 On a trip in 2003, Igor Chirkin and other believers prayed for God to send the Mintons to Ukraine. We counted the cost, did two years of deputation, and moved permanently to Ukraine in 2006.